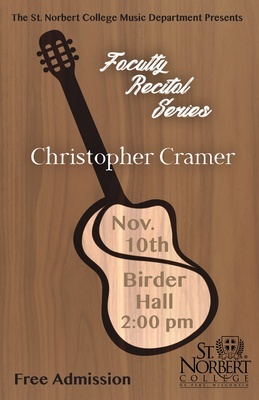 This recital is presented as part of the 2018-19 faculty artist series. It is performed in Dudley Birder Hall. St. Norbert College Music Department, "Faculty Recital - Dr. Christopher Cramer" (2018). Music Performances. 74.